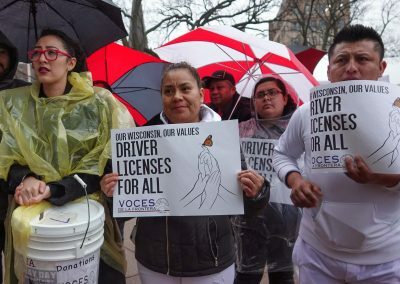 Governor Evers has said he will include a measure in his budget proposal that broadens access to driver licenses, making it easier for immigrant parents and workers to make ends meet and provide supportive homes for their children. 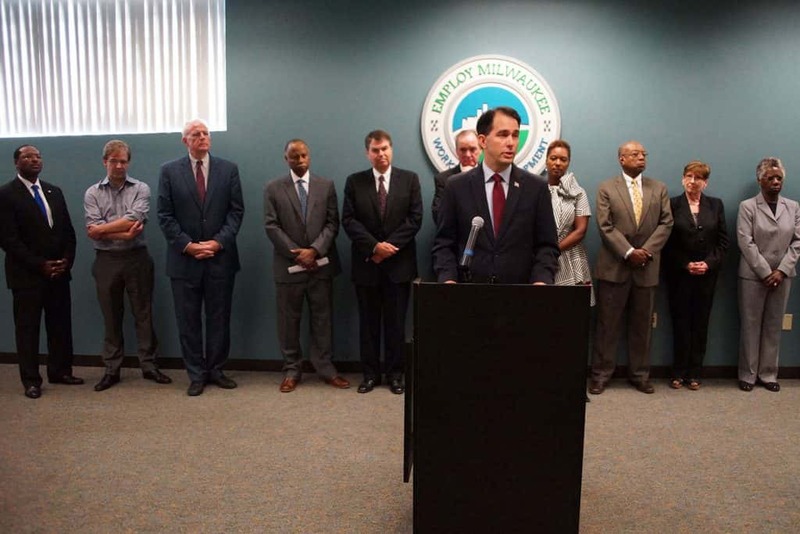 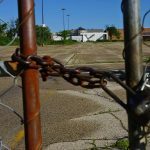 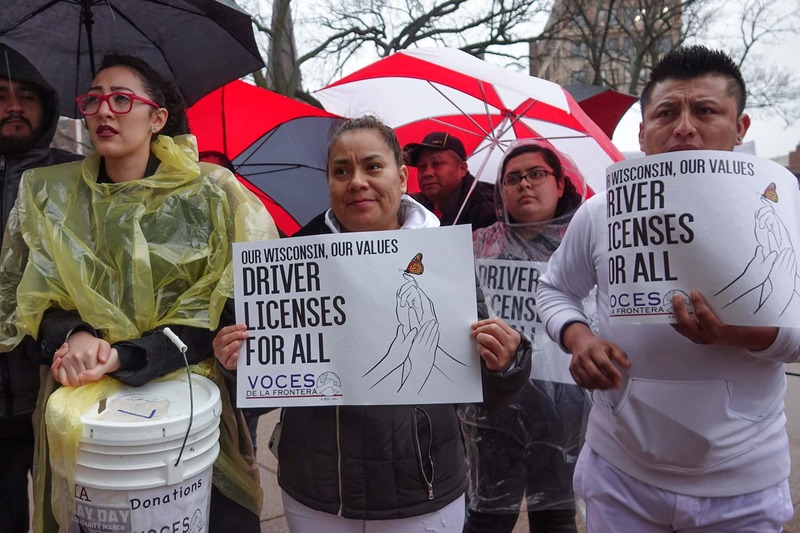 Breaking down barriers to licenses would also bring broad-based benefits to Wisconsin’s economy and boost communities and businesses across the state. 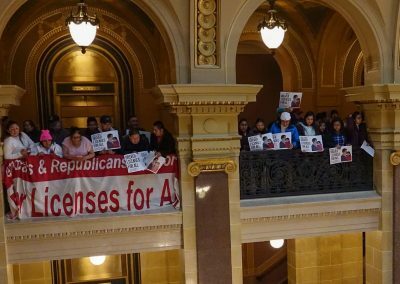 Currently, Wisconsin blocks residents who are undocumented immigrants from obtaining driver licenses. 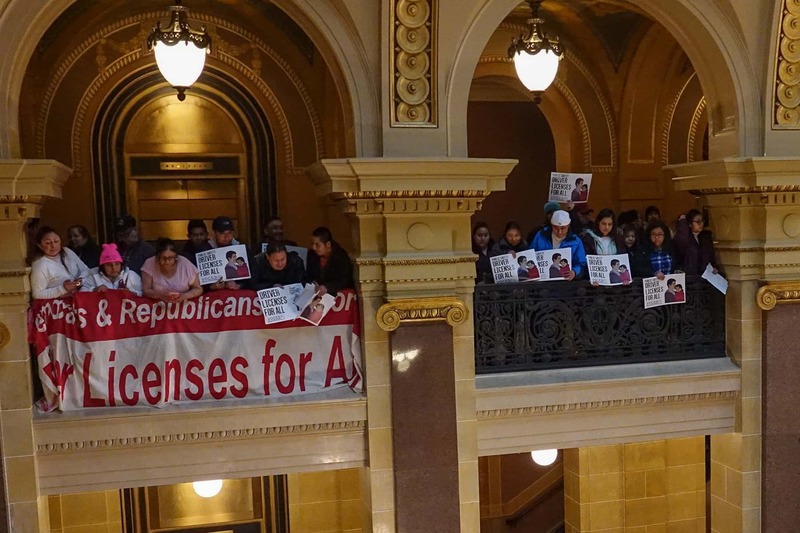 And yet, it is nearly impossible to live in Wisconsin without driving—putting Wisconsin residents who are undocumented in a grim predicament. 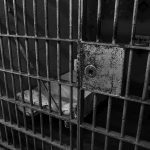 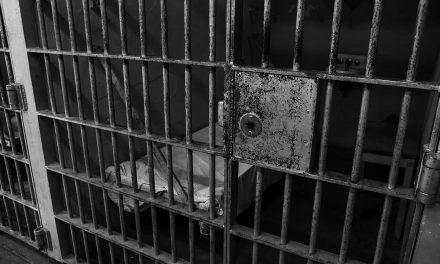 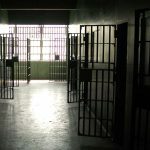 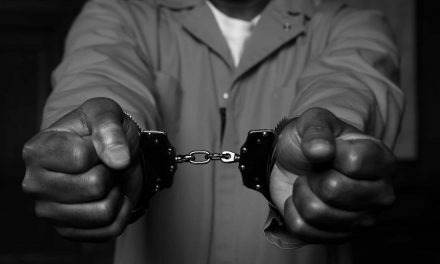 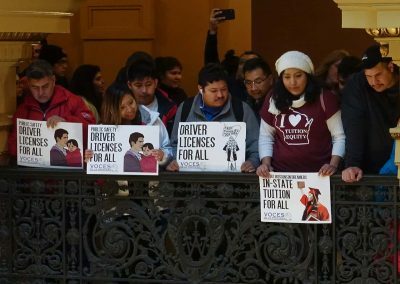 The prohibition on licenses means that seemingly mundane tasks like giving a neighbor a ride to church or driving to the doctor’s office can result in potentially life-altering consequences. 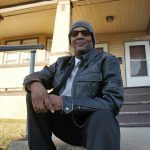 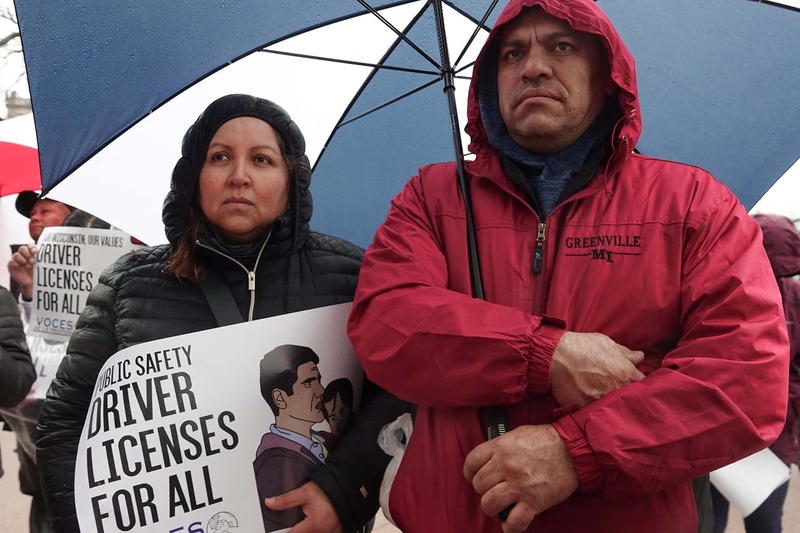 For these residents, something as minor as being pulled over for a burned-out headlight can trigger a series of events that results in separation from their families and the loss of their homes and livelihoods. 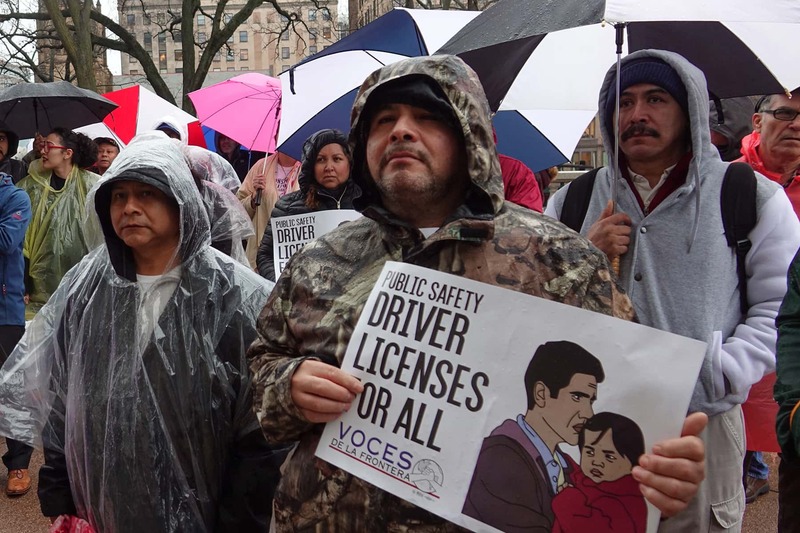 That uncertainty traumatizes children and takes a deep toll on families and communities. 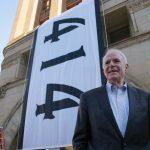 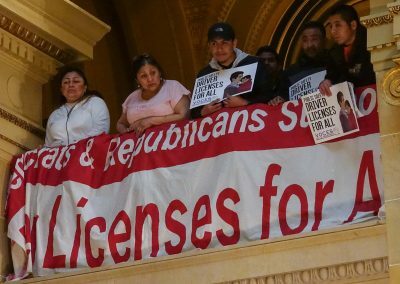 Governor Evers wants to strike down that prohibition and have Wisconsin join the 12 other states in which residents who are undocumented can obtain licenses. 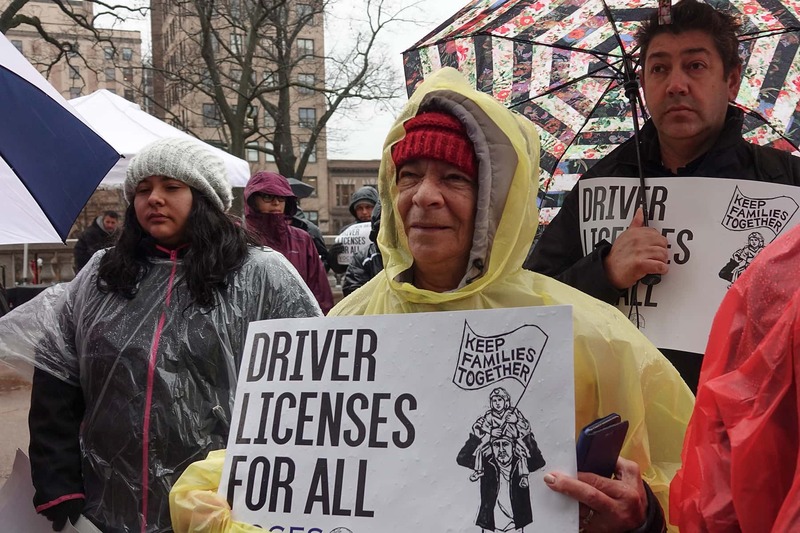 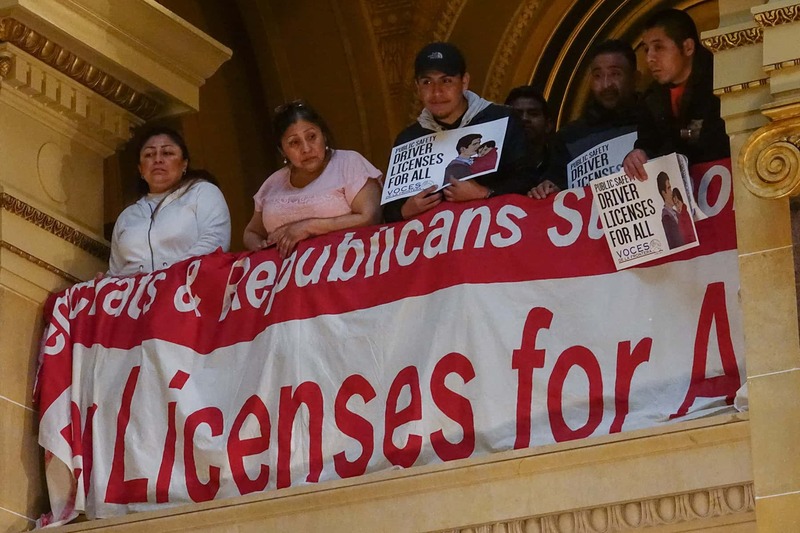 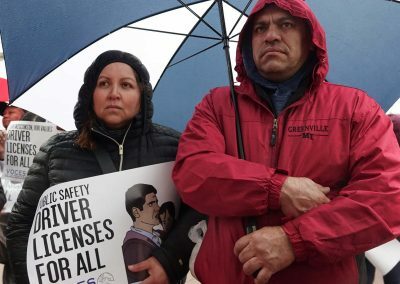 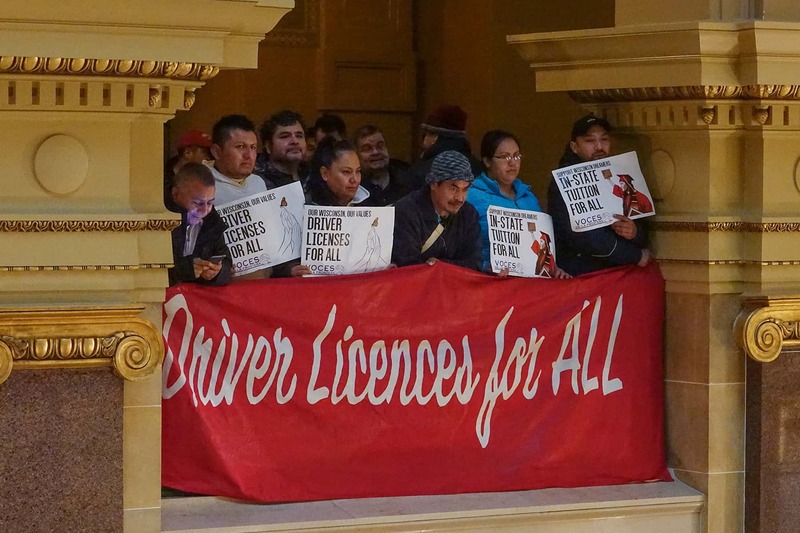 Removing barriers to licenses will improve the well-being of immigrant residents of Wisconsin, including many who act as breadwinners and caretakers for their children. 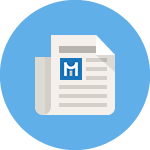 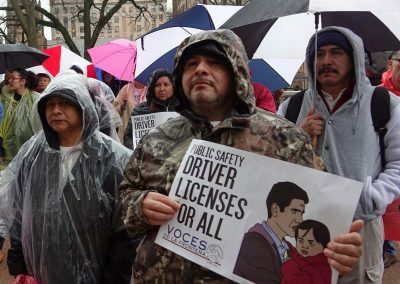 Of the estimated 32,000 drivers who will be able to obtain licenses if barriers are removed, 12,000 live with at least one child who is a U.S. citizen. 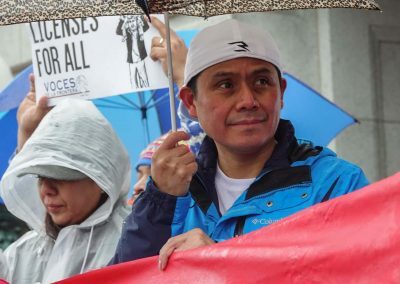 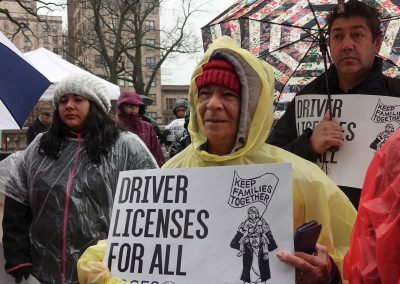 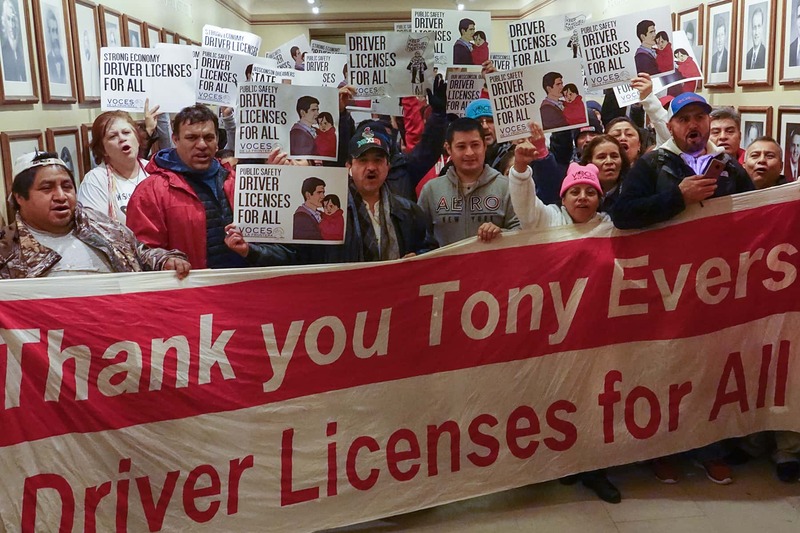 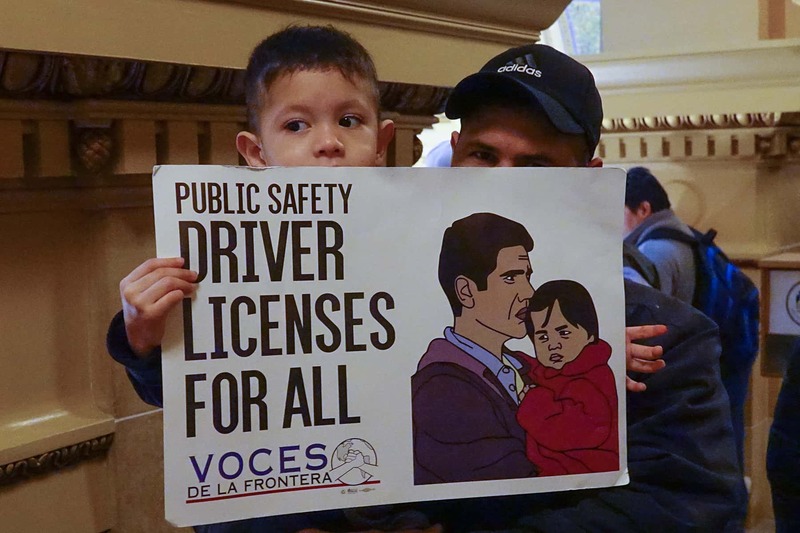 Immigrant families aren’t the only ones facing state-imposed barriers to driver licenses. 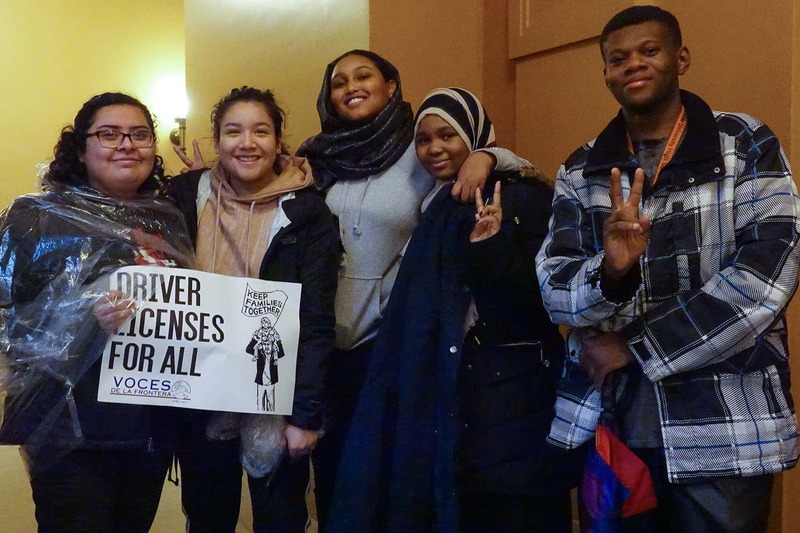 Wisconsin suspends the licenses of drivers who are struggling financially and can’t afford to pay their parking tickets or other tickets for minor traffic infractions. 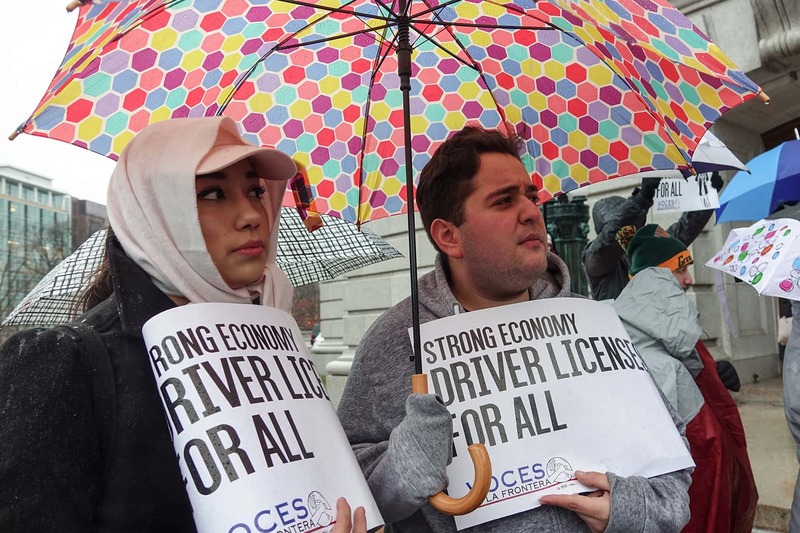 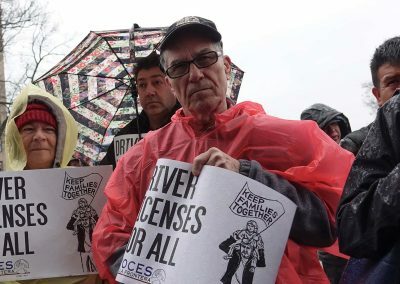 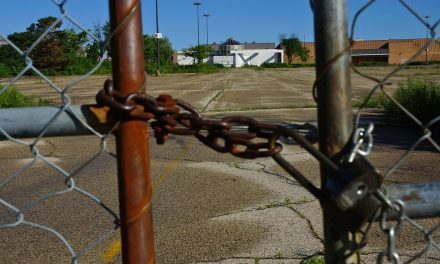 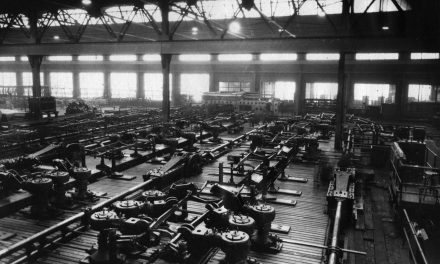 Without a license, workers might not be able to get to work, and could lose their jobs. 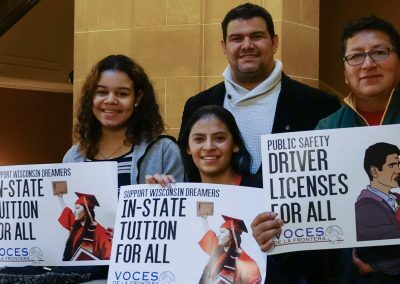 The result is that the state of Wisconsin is taking away the very tools that workers—disproportionately workers of color—need to succeed. 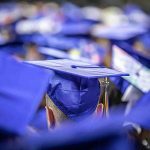 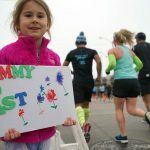 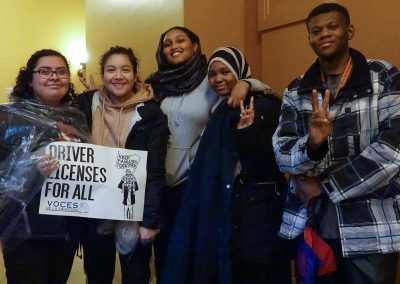 Governor Evers is taking an important first step by including a proposal in his budget to break down barriers to licenses. 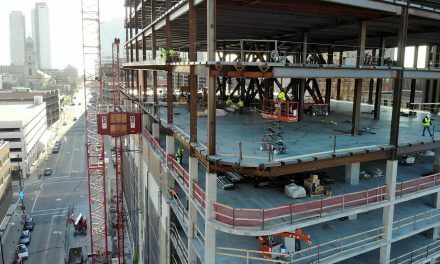 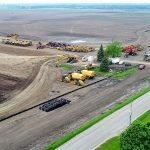 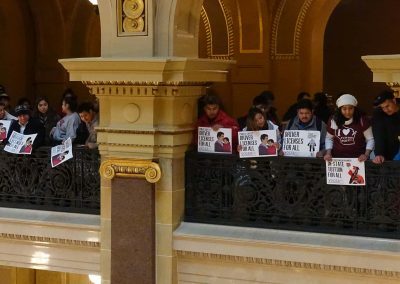 Getting the proposal through the legislature is likely to be difficult, but with a divided state government, both sides are going to have to make compromises on what they want in the budget. 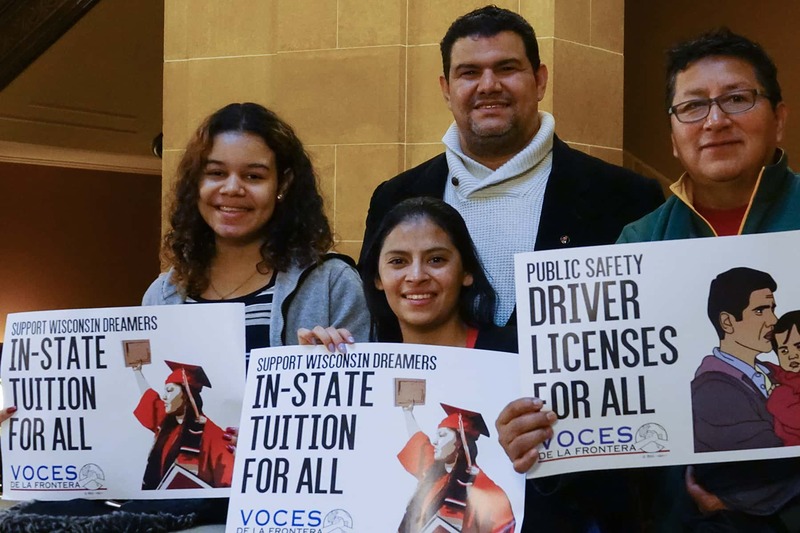 State legislators should abandon harsh anti-immigrant rhetoric and instead should roll up their sleeves and join Governor Evers in making sure that Wisconsin is a great place to work, drive, and raise a family — for everyone. 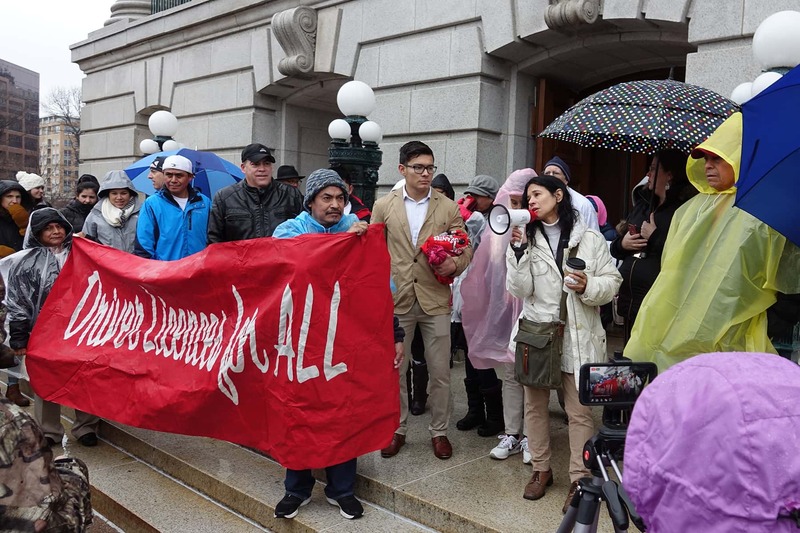 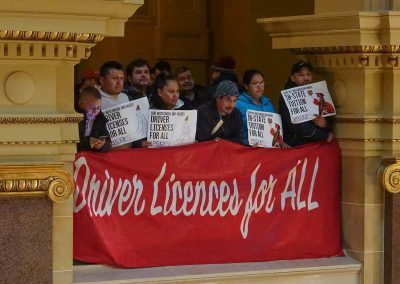 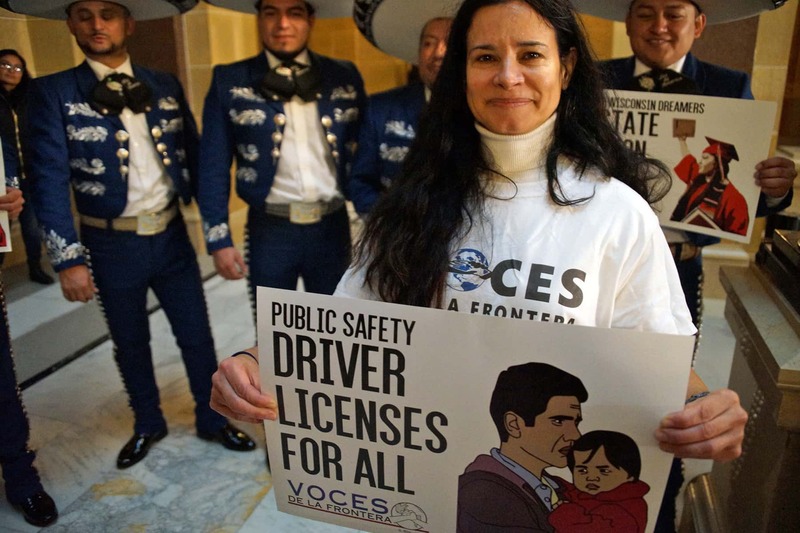 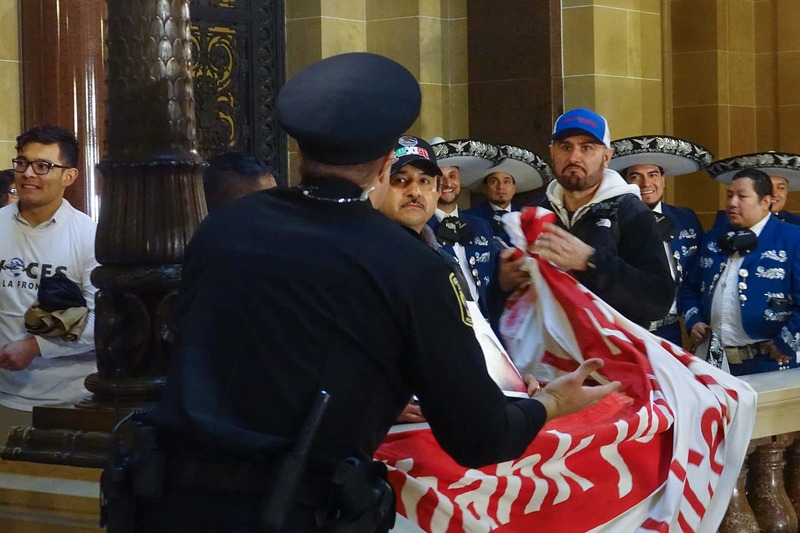 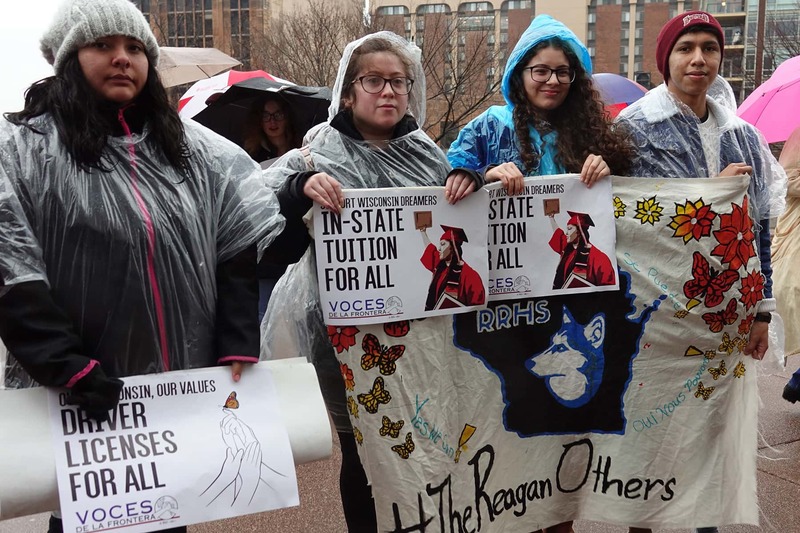 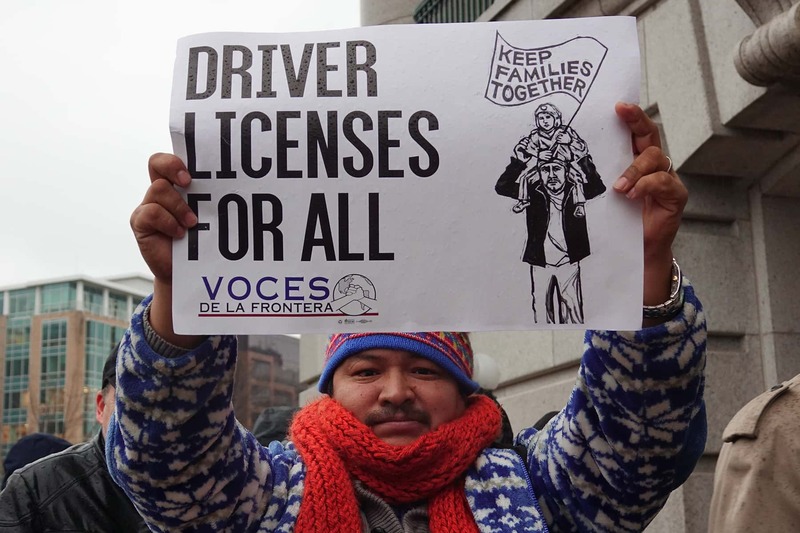 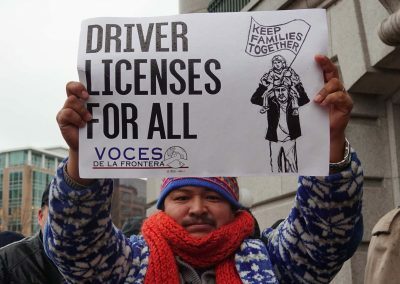 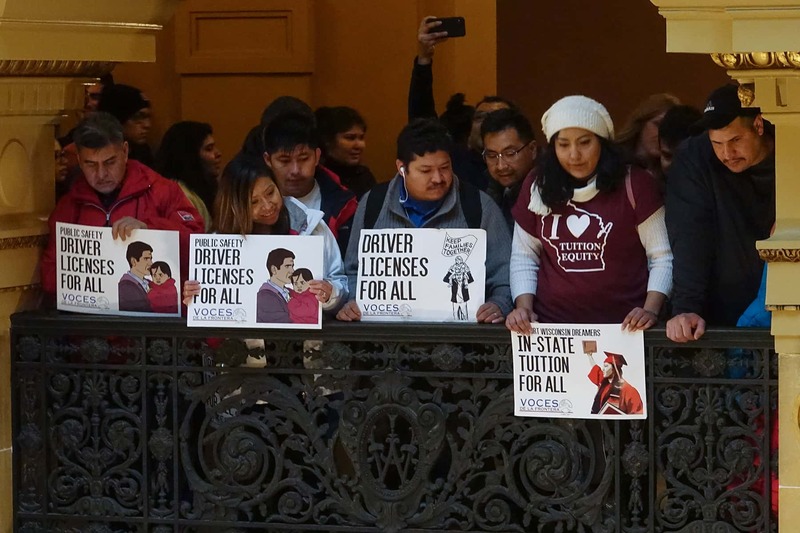 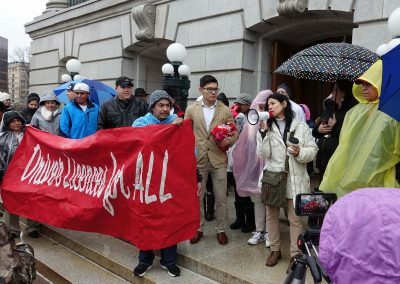 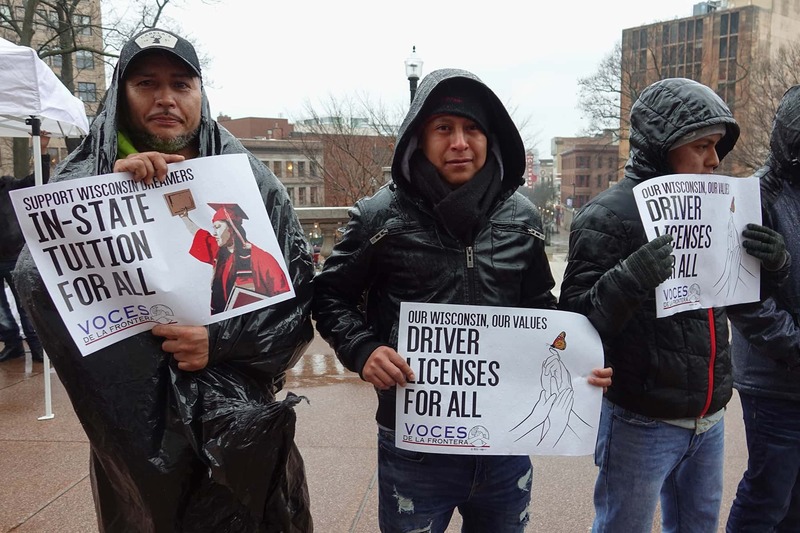 Voces de la Frontera held a celebratory rally outside of the inauguration ceremony for Governor Evers on January 7 at the Wisconsin State Capitol, to support his immigration initiatives and urge legislators to pass his proposed budget, including driver licenses and in-state tuition. 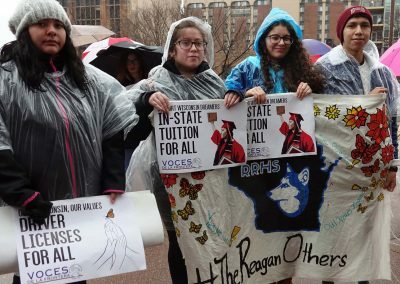 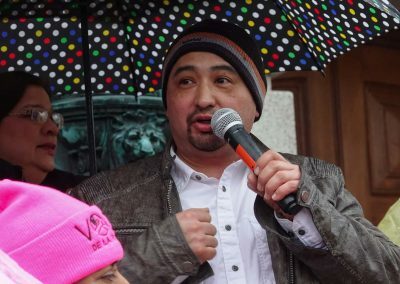 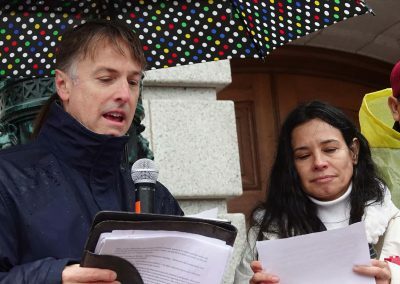 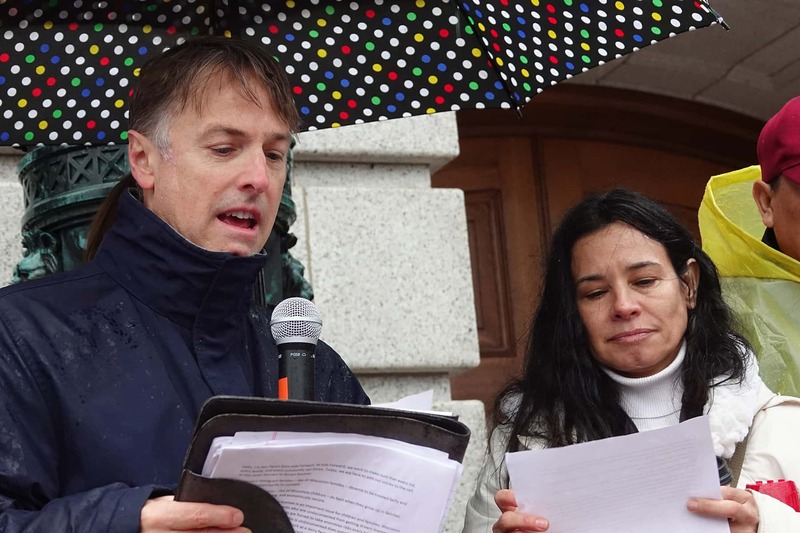 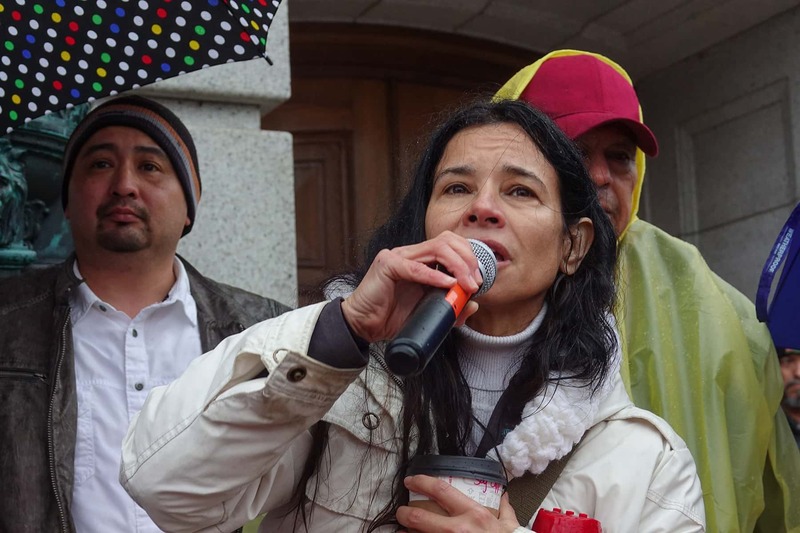 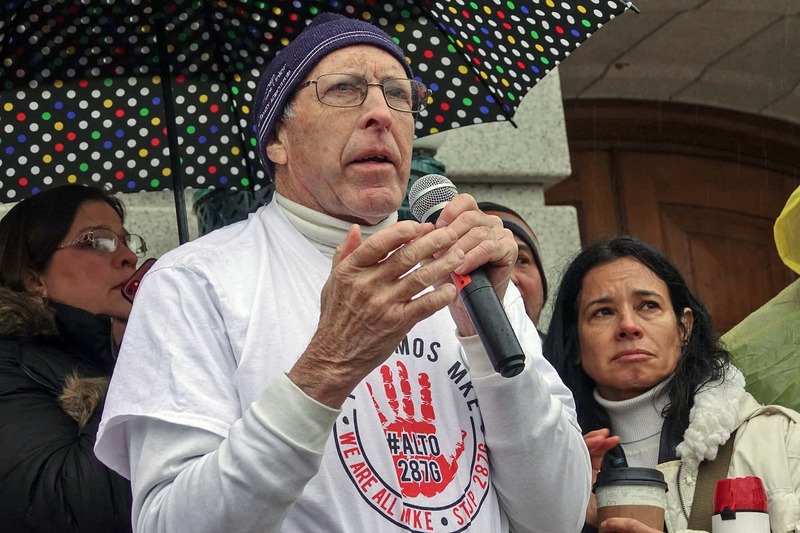 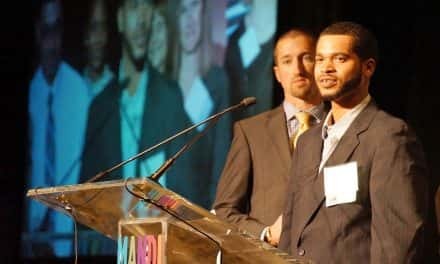 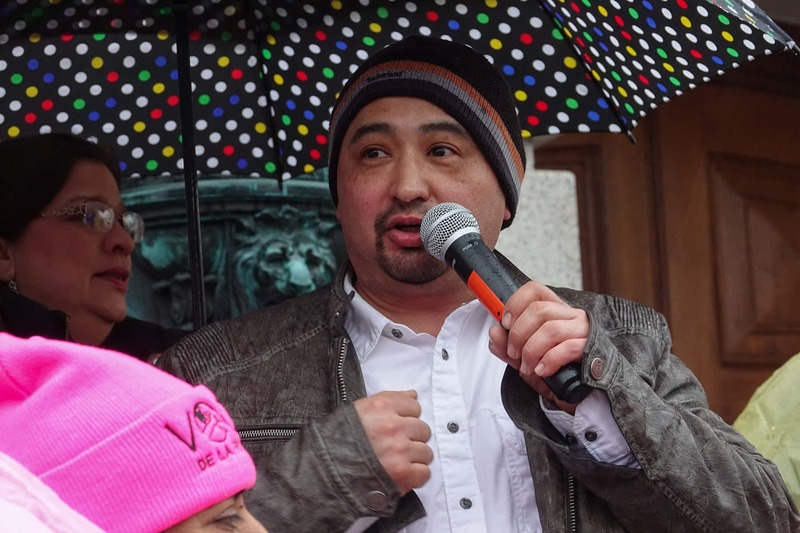 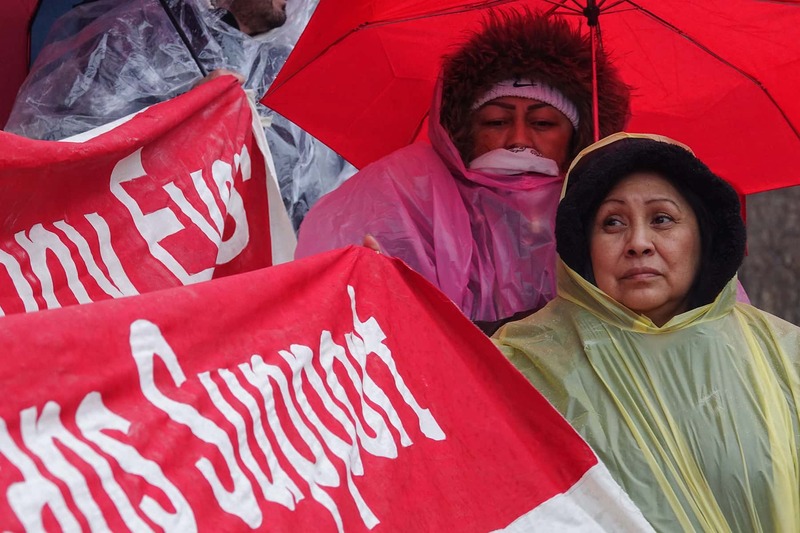 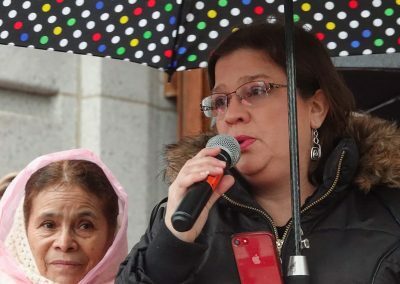 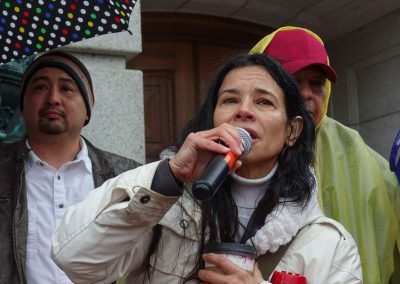 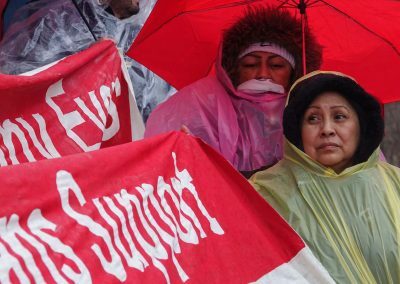 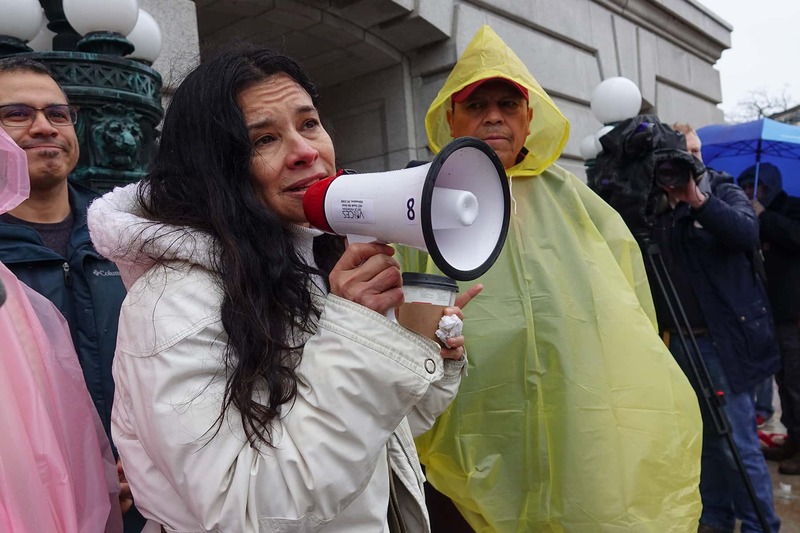 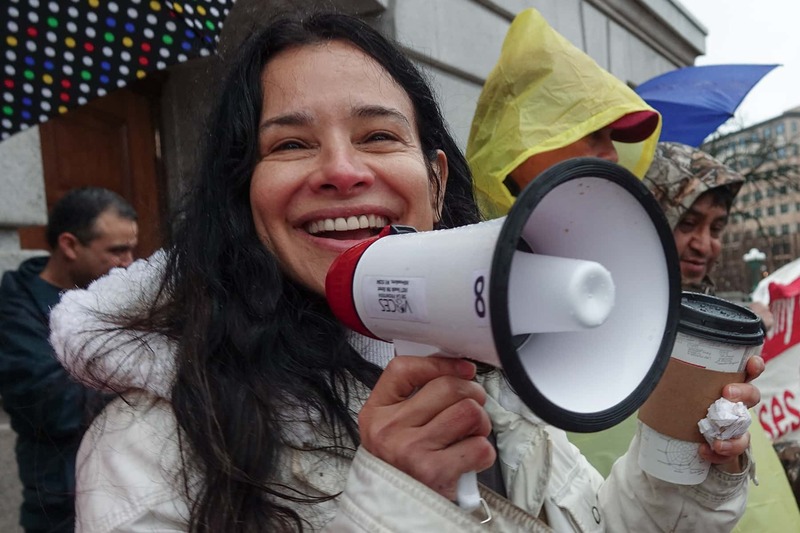 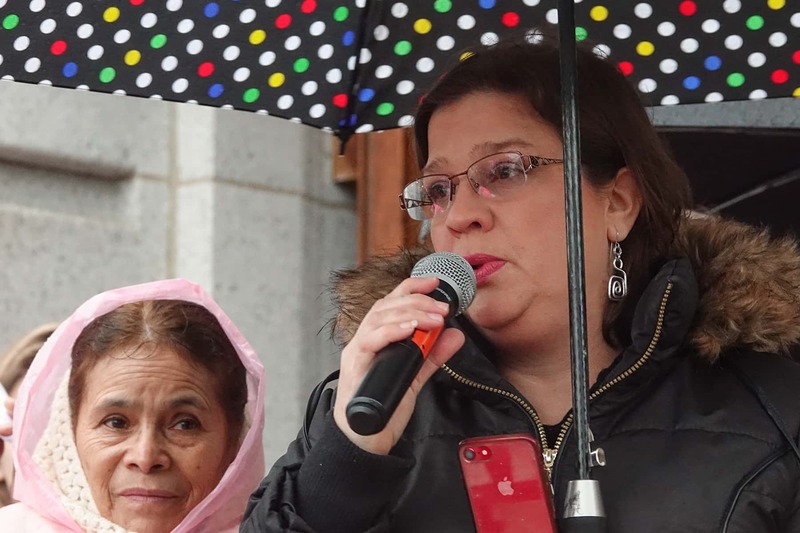 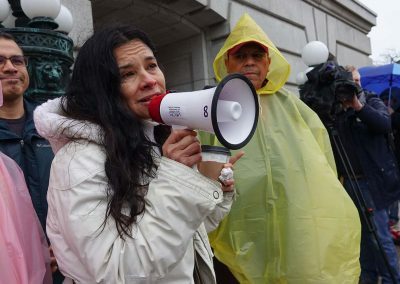 Over 150 supporters of the Milwaukee-based Hispanic nonprofit held a press conference in the rain, as officials and the public gathered for the inauguration ceremony of Governor Evers, Lieutenant Governor Mandela Barnes, and other state elected officials. 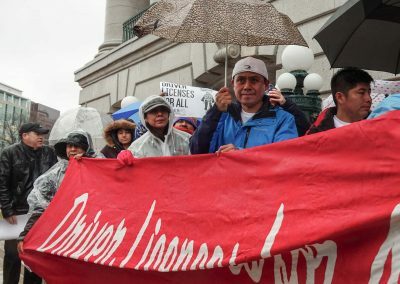 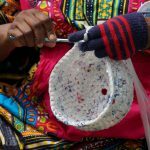 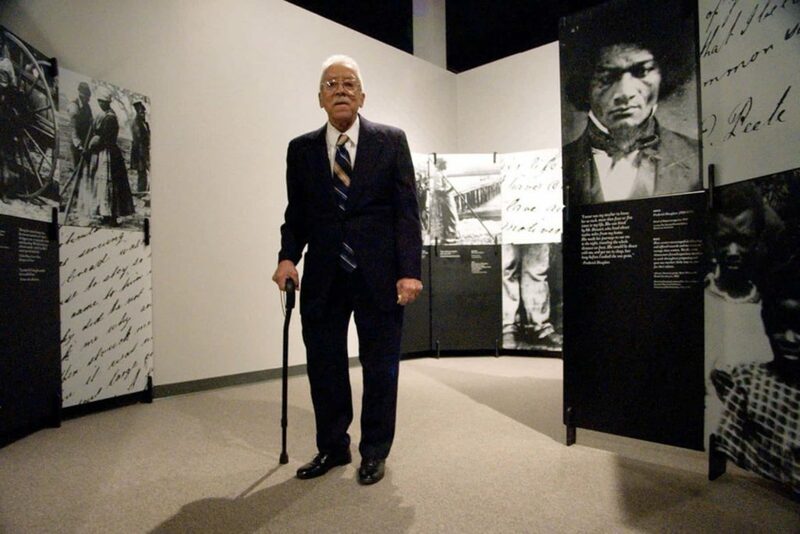 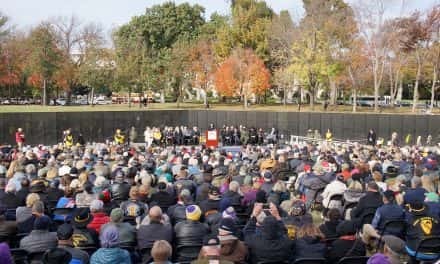 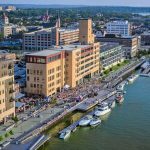 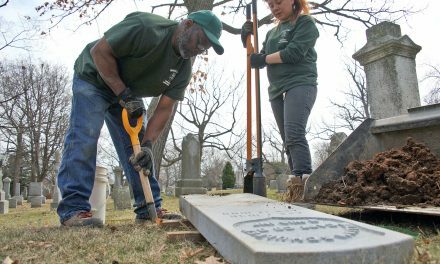 In attendance were residents from Milwaukee, Green Bay, Lake Geneva, Racine, Waukesha, and Madison, representing some of the state’s largest immigrant populations. 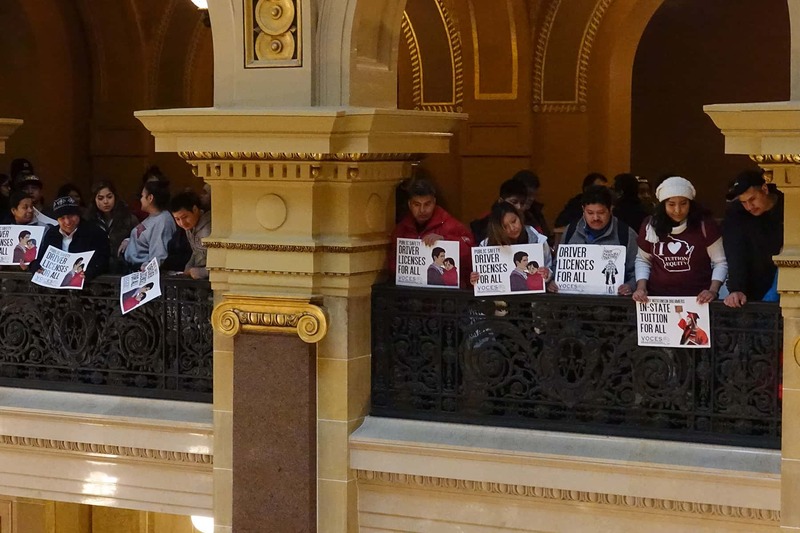 These images and quotes from the rally highlight the concerns and topics presented to the public.